We could go back to the Romans but that's for another time. Let’s just look back to our grandparents or parents. There is always a dish that sticks in our memory. Something that made you feel homey and happy. A flavour that brings back a memory of simpler tasting foods coming from the kitchen of your Grandma or mother (not to say dad wasn't a great cook). A time when you ran into the house for a glass of water and smelled the stew that was simmering on the stove just waiting for your dad to come home. Simpler times, simpler food, flavoured with what was growing in the garden. Now you can grow your own backyard herbs and serve them fresh with your favorite recipes. if it's herb growing tips you're looking for we've also got them. Chef's Pick herbs are grown in the sunny Fraser Valley on Heimat Farm and you can buy our herbs at your favorite Vancouver garden centres. 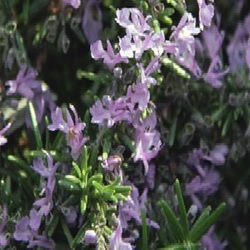 Follow us on Facebook for recipes, updates and new herbs for your garden.